(N. E. Lindenblad, US-Pat. 2.131.108 from 1936), sleeve or bazooka feeding. 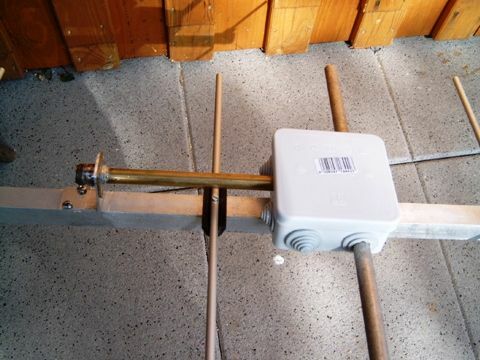 The following pictures of Herbert, DF7DJ shows this method in a 2-m-Yagi. 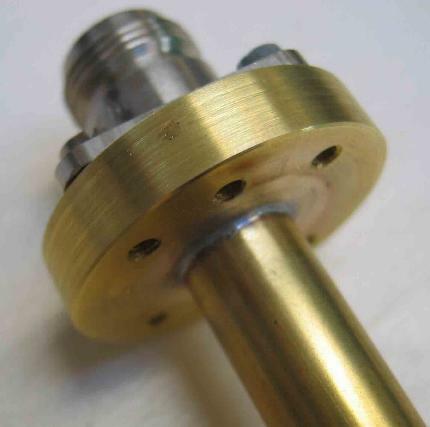 The outer tube has 10 mm inner diameter, the inner conductor has 5,5 mm in diameter. The impedance of this lambda/4-Sperrtopf is 37,5 Ohm. One half of the radiator is connected to the outer tube, the other to the inner. At the other end the outer tube is grounded to the boom, the inner tube is connected to the pin of the coax-socket. 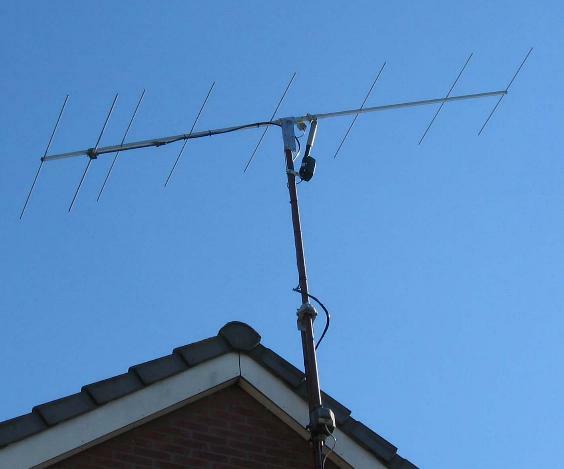 This is a well-know solution for commercial dipoles in TV- and BC-antenna-groups and seems to be very good for 2 m an 70 cm. "It is in use here now for more than a year with very good results. With 50W from an FT-857D, I worked meteorscatter QSO's up to 1900km, something I couldn't believe before. The balun to make the 28ohm impedance used in my antenna is a bit different. 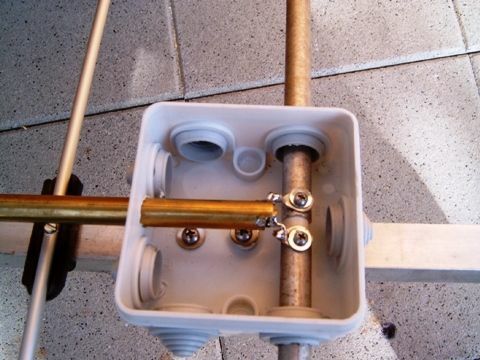 Just using 2 pieces of brass tube, 6mm outer dia for inner conductor and 11mm inner dia for the outer tube, for making an 37ohm quarter wave line. 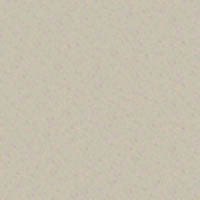 I have attached some pictures of my construction. Length of the tubes is 50cm and not critical at all. 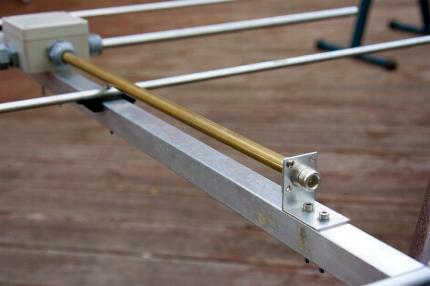 For the dipole 10mm alu rods are used. 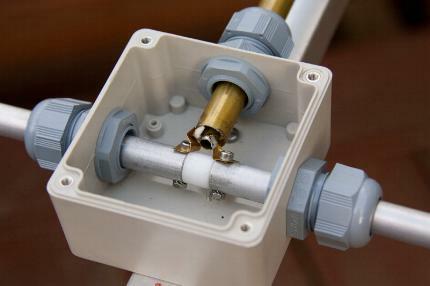 An piece of 20mm plastic rod was used for mounting the dipole and balun rods. After optimizing of VSWR by trimming the dipole length and position by a few mm, some epoxy was put in the hole of the plastic tube to make it fully waterproof. The VSWR in practice is very stable and weather independent. I could have made an better match around 144.2 MHz but I chose to make the match as good as possible for whole 2M band. In practice it is good enough, and loss at S11 of -20dB is very small. So perfectly happy with it! The 8-El.-Yagi of PE1NFE with the elevation system and the "Sperrtopf"